Given the great quality of the wines from this area of Italy, it is somewhat sad to notice that they all come from one single appellation that encompasses the entire Alto Adige area, known as Alto Adige DOC. It is true that this macro-appellation includes a few subzones (among which St. Magdalener, Terlaner and Valle Isarco) but still, one appellation with over 20 permitted grape varieties??? Talk about the importance of terroir… 😦 So, as of today one can mostly rely on the seriousness and commitment to quality of many Alto Adige producers. 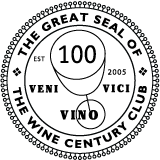 Personally, I hope that at some point at least certain of those subzones may be upgraded to self-standing appellations, focusing only on the grapes that are best suited for that specific subregion. 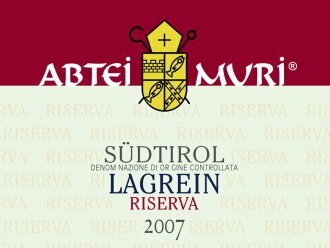 Let’s now move on to the actual review of the Muri-Gries, Alto Adige Lagrein “Abtei Muri” Riserva 2007 DOC that I recently tasted.